Gaming industry writers over at Eurogamer have deduced that the Xbox Two will be launched in 2020. The Xbox Two release date was arrived at by taking a close look at CPU and GPU component roadmaps for the next few years, then taking the usual 6x to 8x power leap that console generations usually deliver, before finally finding the sweet spot as to when those technologies will hit an affordable, console-level price point. In layman's terms this means that an Xbox Two console that is six to eight times more powerful than an Xbox One, retailing for a £400-£600 price point, can realistically only hit store shelves in 2020, at the earliest. Here's that graph we mentioned. As you can see from the graph, which details AMD's CPU and GPU technical roadmaps for the next few years (both Microsoft and Sony use AMD's hardware to power their consoles, and will almost certainly continue to do so), 2020 is the year in which a system on a chip CPU-GPU combo can be realised in terms of next-generation performance. This currently tallies well with industry speculation that the next generation of consoles is still a few years out, with rumours of development units for the PS5 hitting game makers, adding more weight to a no-sooner-than-2020 release date. 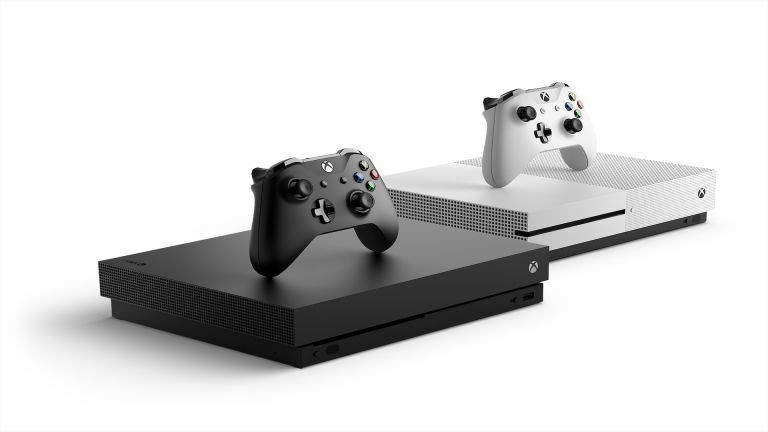 Considering that the Xbox One X, a console that can play games in native 4K and with HDR only debuted late last year, this conclusion feels pretty accurate to us here at T3, both because it is highly dubious that Microsoft would release a new flagship so soon (judging by past releases) and, as detailed by Eurogamer, it would not be financially viable, either. Plus, considering that Sony's flagship, the PS4 Pro, can only present games in dynamic 4K (variable) rather than at native 4K, we would expect the Japanese console maker to move first anyway with a new system, with a PlayStation 5 release date already leaked. At this point, however, 2020 seems like a solid bet for both the PS5 and Xbox Two release date.